Confession: I had a really, really hard time letting go of my Blackberry. There was something about those little keys that was oddly reliable and comforting. I started seeing many friends and co-workers jump on the iPhone bandwagon, and I just couldn’t do it. The idea of texting and writing an email from a touch screen was weird to me. Inevitably, tragedy struck one day as I was walking along the Las Vegas strip, of all places. My Blackberry crashed. It was a moment of sheer panic. I immediately darted into the closest hotel (Paris, I believe), and wandered the labyrinth of shops and slots until I found some sort of business center. I located the nearest Verizon store, hopped in a cab and hoped for the best. Needless to say, that was the day the iPhone came into my life. And let me tell you, as soon as I discovered that this little device could make my life easier, I’ve never looked back. If you have been a facilitator for awhile, you would probably agree that managing a classroom is much different today than it was in years past. Sometimes, learning and leveraging technology (or any change, for that matter) can be intimidating. If you’re new to technology, take baby steps! Here is a list of my go-to iPhone apps, that I use for developing or facilitating training, keeping organized and staying productive. They are simple and easy-to-use, and most of them are free! Evernote: My favorite note-taking app. I use this for everything from drafting blog posts to creating outlines for training content to taking notes in meetings. I love that I can use this on my PC, iPhone or iPad to edit or create content wherever I am. Remind101: I wrote a post about this awhile back. This one-way text messaging service has added a new layer to pre- and post-training communication. If you are looking for a way to engage learners before, during or after a training session, check it out. Buffer: This tool helps me schedule out tweets and other social media posts throughout the day or week. So when I come across a helpful article or resource, I can add it to my Buffer page, and it will time my posts, so as not to bombard followers at any given time. There is a great Google Chrome toolbar extension that allows you to add an article or site to your Buffer with a simple click. Spotify: I love to use music in the classroom. Of course, talk with your Legal team to make sure you have appropriate permissions to do so (copyright laws, naturally). Spotify keeps my playlists at my fingertips at all times. I can add to them any time, or follow other Spotify users who have similar tastes. I can also stream my playlists in the car via Bluetooth, which I love. The First 90 Days: This app is an extension to the book The First 90 Days, by Michael Watkins. I have recommended this book and app numerous times to leaders who are starting a new job. In fact, we are starting to purchase the book and pay for the app for new leaders at the day job as part of our new leader onboarding program. The app will send a new leader a notification with a book excerpt and action steps every day, based upon the time of day you specify. Dropbox and/or Google Drive: These are both fantastic tools to upload, create and share document files. I regularly use both, for different purposes, but some people prefer one over another. Fellow facilitators, it’s not enough to be “aware” of technology anymore. Technology isn’t going away. We need to be comfortable with it, and make it work FOR us rather than against us in our classrooms. Participants rely on their devices; we cannot assume that a learner who is “on his phone” is disengaged. He might be taking notes or recording the session, or even tweeting a key message to his followers! Leveraging technology and tools can make our sessions more engaging and learner-centered. And honestly, isn’t that what we want our sessions to be? 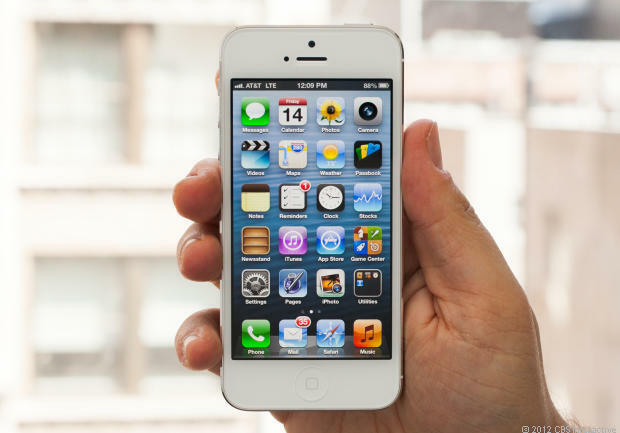 Your turn: Tell us, iPhone/smartphone users, what are your favorite apps? How are you leveraging technology when you facilitate? How does your device help you stay productive? Share your go-to tools in the comments below!